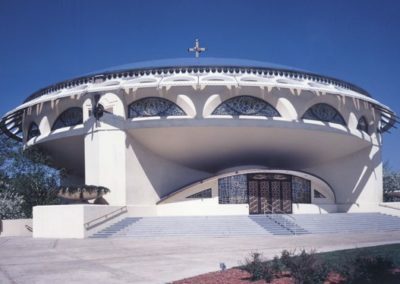 Among the final commissions of architect Frank Lloyd Wright was the Annunciation Greek Orthodox Church in Wauwatosa, Wisconsin. 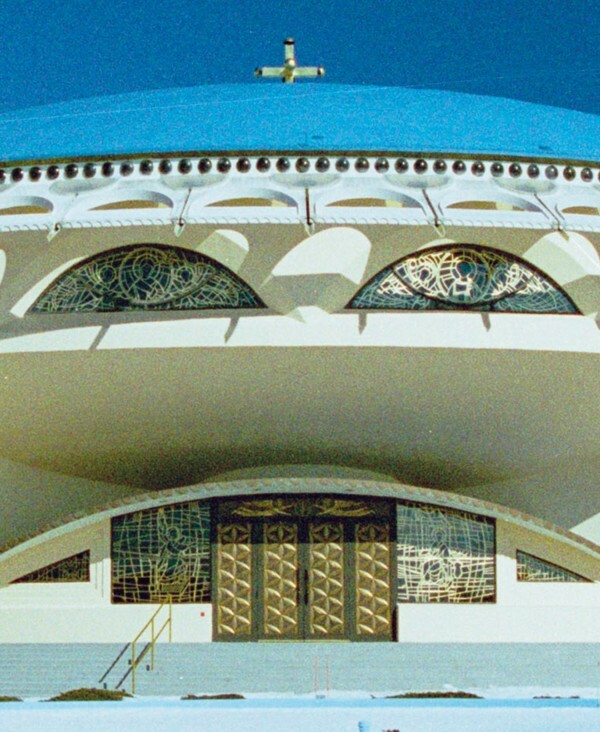 The circular design of the building departed from traditional Byzantine church architecture, and it was difficult for the congregation to embrace. 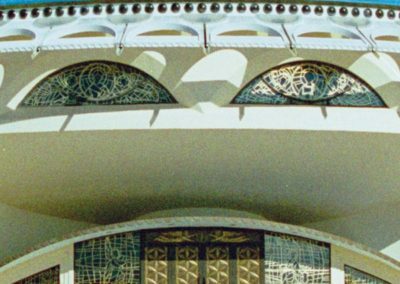 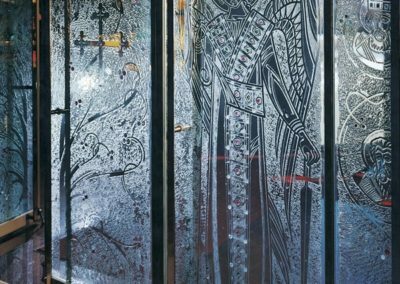 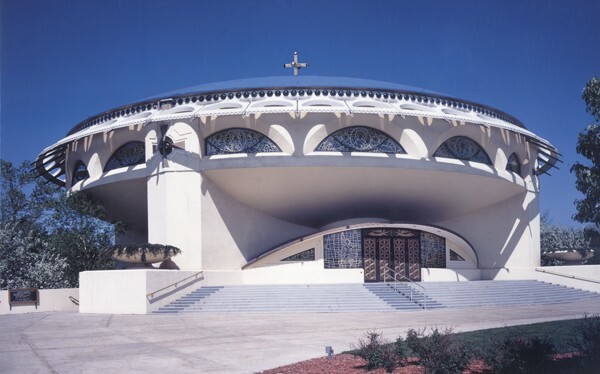 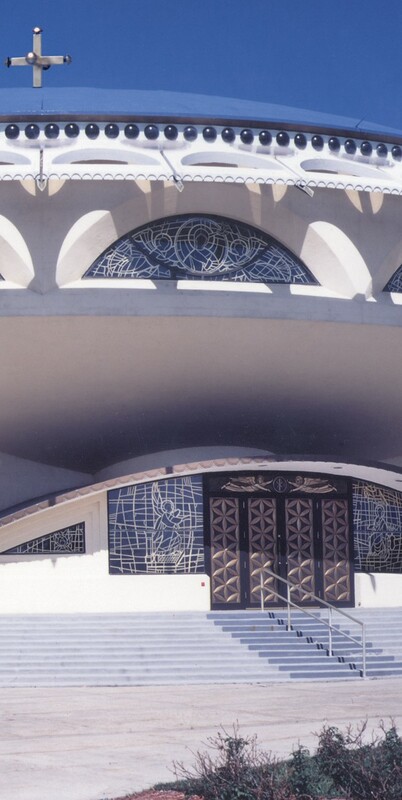 Decades after Wright’s death, Conrad Schmitt Studios was asked by the congregation to design the stained glass clerestory windows, entrance doors and rooftop cross using the traditional Greek Orthodox iconography they felt was missing. 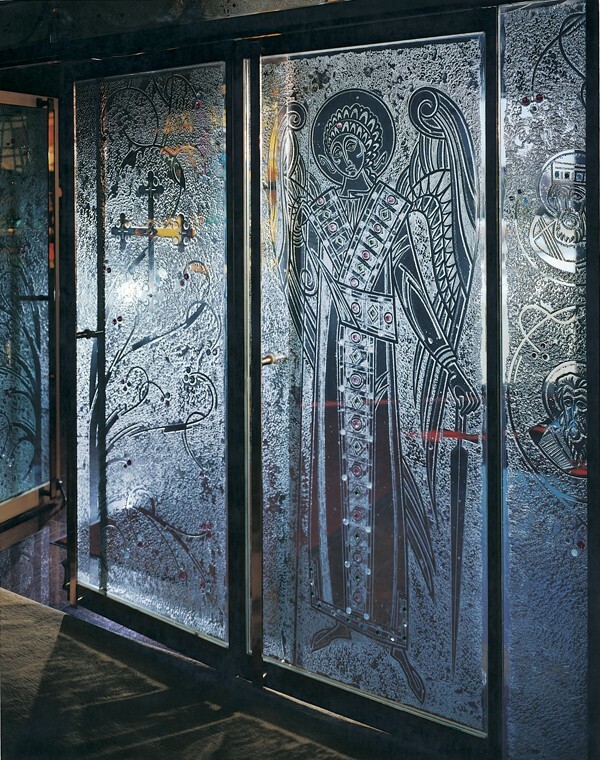 The doors and cross were inspired by historic Greek Orthodox designs and were executed in enduring bronze. 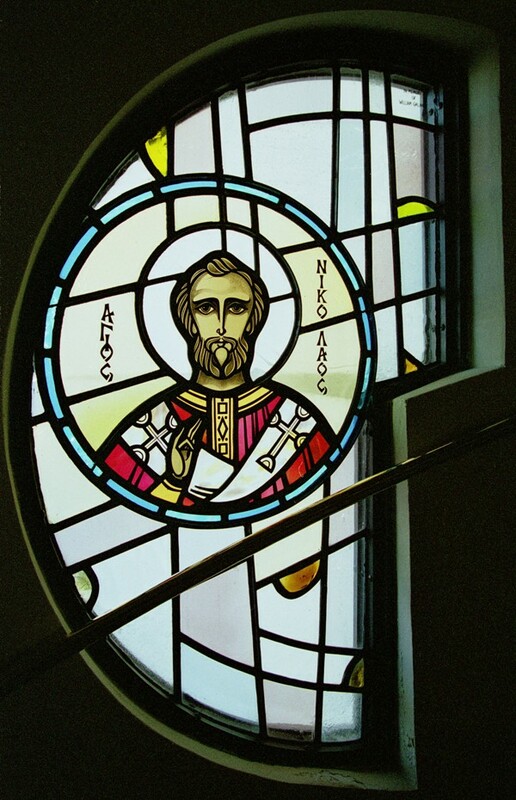 Bernard O. Gruenke and CSS designer Helen Hickman also created a set of Byzantine-style clerestory window designs that encompass the church members within the iconostasis, the group of icons. 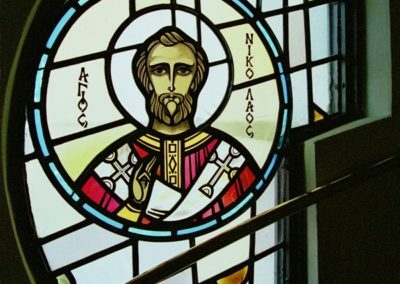 After installations, the congregation of Annunciation Greek Orthodox Church felt the church was theirs at last.